For orders of more than 10 books in the U.S. or more than 4 books for countries outside of the U.S, please call (509) 935-0606 or email Sasquatchpeople@hotmail.com for shipping calculations. Kewaunee’s new book is the ultimate book on the Sasquatch phenomenon. Because the Sasquatch are genuinely people—not animals—Kewaunee is a crypto-anthropologist, not a crypto-zoologist. He elaborates on why they are humanoid beings and their purpose here, based on 32 years of interacting with the giants (and ETs) (out of the 55 years researching them). Kewaunee draws information from 187 witnesses who also experienced telepathic communication. Quantum physics describes the reality of mental telepathy, invisibility, inter-dimensionalism, and other PSI phenomena, and is actually juxtaposed with psychic Sasquatch and ET behavior. Kewaunee has been successful in his research because of his benign, spiritual, field methodology (no guns or cameras)—not unlike Dr. Jane Goodall’s approach with chimpanzees, except the Sasquatch are highly evolved nature people. They are terrestrial extraterrestrials, living inside giants’ bodies. In his book, the forest giants reveal a salient message to humanity—that the planet is dying at the hands of exploitative man and in 2012 there will be a huge shift in human consciousness that most earthlings are ill prepared to face. The Sasquatch people, who are the ultimate environmentalists, want to share their ancient wisdom with the human, but few are listening. 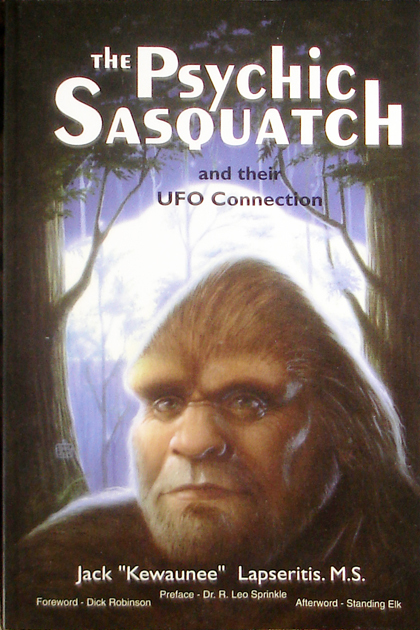 Although there is a chapter on the Bigfoot/ET/UFO connection, the UFO phenomenon is woven onto every chapter, since many of the Sasquatch work with several races of friendly Star People as they prepare to assist humanity for the coming cosmic Earth changes. This book is about a scientist/researcher looking to empirically prove that Bigfoot/Sasquatch exists as a living primate. Kewaunee’s paradigm of the world abruptly changed when, in September 1979, a Sasquatch and ET telepathically spoke to him, revealing their psychic reality. Later, he found other “experiencers” who had also been approached by Sasquatch who had communicated to them their concerns about how modern man is destroying the planet. At times, there were Starpeople and/or spaceships involved. The book is a well-documented, fascinating account that already has become a classic since its publication in 1998. 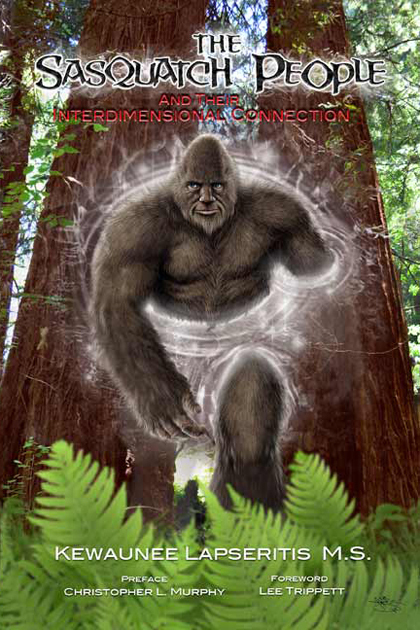 The Psychic Sasquatch provides us with revelations about these gentle creatures and the astonishing truth about their connection with extraterrestrials and why they cannot be found.